Increase your visibility and reach your audience by showcasing your brand to Honolulu Civil Beat’s regional audience of thousands of engaged, active and loyal users. Corporate sponsors share Honolulu Civil Beat’s belief that greater civic engagement will contribute to the quality of life in Hawaii. Our readers are the audience you are looking for. Affluent, educated and active in business and neighborhood communities. Corporate support opportunities come in the form of website and email messaging; Civil Beat events and events in-kind; and underwriting of special reporting efforts on issues of importance to the community. Now, your company can build a strong association with the quality and excellence that Honolulu Civil Beat is celebrated for. Contact us to learn how your company can achieve its marketing goals and enhance your corporate image as a Civil Beat sponsor. 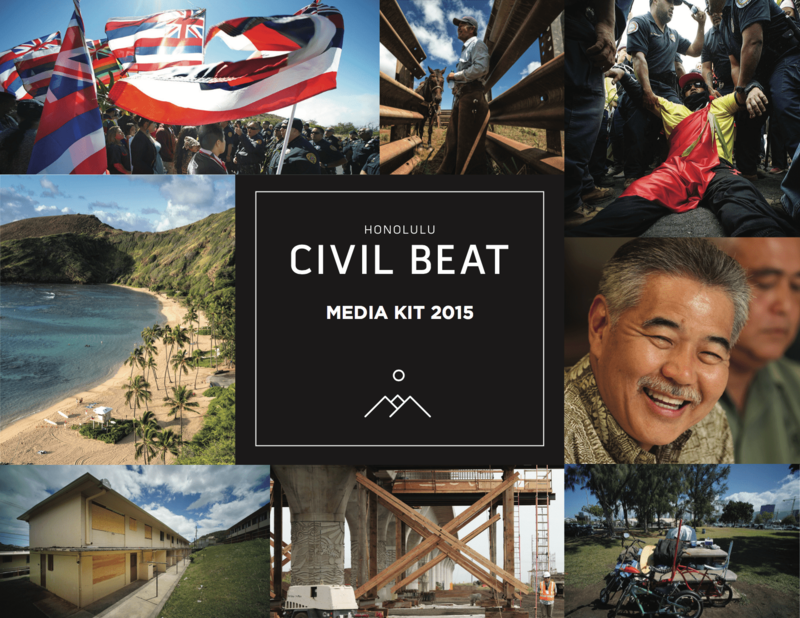 Contact us at business@civilbeat.com to get started.